One of the most sought-after waves from 2009 returns for 2010! All five of the original Wave 5 figures are back — same exact package and deco, with no changes to the figures. 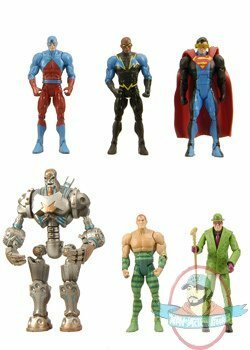 This reissued set delivers all the pieces you’ll need to build a 9” Collect and Connect™ figure of the evil-to-his-kryptonian-core Metallo!